Science fiction has become a film genre increasingly derivative and dispiritingly inconsistent in quality in recent years. 2012’s TOTAL RECALL was a terrible remake and PROMETHEUS was arguably guilty of cheapening its own source material, the ALIEN series, by existing alongside it but not answering any of the questions it left open. All is not lost though, as there have also been some astounding examples of sci-fi both from Hollywood and around the world over the last ten years, coming from daring filmmakers producing something thought-provoking, spectacular, or both. Here’s my pick of the the very best, big and small, and why you should check them out if you haven’t already done so; one from each year of the last decade. SERENITY (2005) As most know by now (especially the heartless Fox execs), FIREFLY was a really good TV show. Even if we never again join this wonderful band of misfits on their adventures in the Old-West-in-Space, SERENITY made for one hell of a send-off. As if spending some more time with these vivid characters in an exciting chase movie wasn’t excuse enough to see Serenity, Joss Whedon was finally given a decent budget to fully realise his imagination. His future was a ‘verse where terraforming, off-world colonisation and artificial population control are big issues, issues that either blend seamlessly into the background to add colour, or are brought front-and-centre as the basis for important plot points. CHILDREN OF MEN (2006) I’ve always enjoyed Alfonso Cuarón’s allegorical thriller CHILDREN OF MEN, but revisiting it recently made me realise how terrifyingly plausible it is becoming with contemporary UK politics and society the way they are. 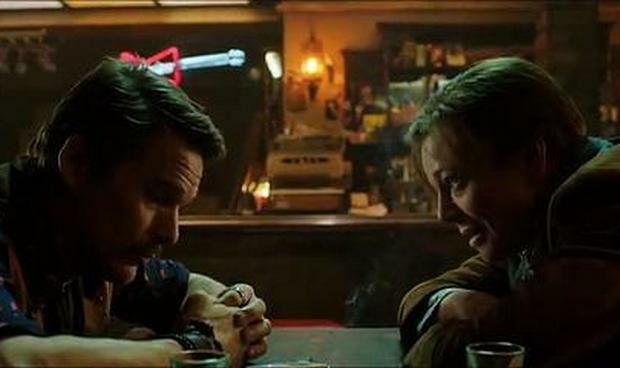 The representation of the rise of extremism (both idealistic and religious) and the paranoia of the immigration issue is now all too real, and Cuarón’s dark tweaking of a still recognisable present and use of distinctive real locations works well in his favour to create a distinctive and relevant vision of the future. A rundown Clive Owen heads up a strong cast and Cuarón ‘s direction, particularly in one ridiculous (if simulated) long take, grabs hold and doesn’t let go. Humanity facing extinction is scary, but even more chilling is seeing that when the world goes to hell, Carling is somehow still served in pubs. 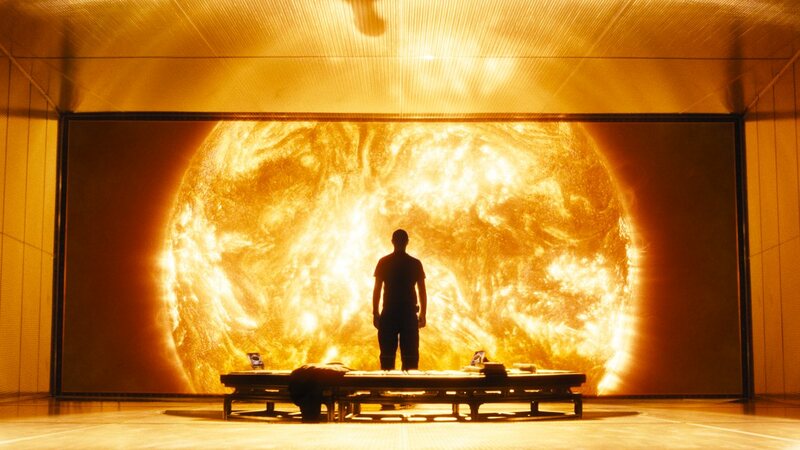 SUNSHINE (2007) One of the many great things about Danny Boyle as a director is that he’s dabbled in pretty much every genre out there. The science in this psychological disaster movie is a bit iffy, but who honestly cares? It’s a thriller, not a lecture. Alex Garland’s script covers the physics in broad strokes, but more importantly and more thoroughly explores the most destructive and unstable aspects of human nature. Boyle gives proceedings visual flair and gives every character their moment to shine, and we see the stuff of nightmares as this crew of astronauts on a mission lose their grip on reality in response to very real dangers. 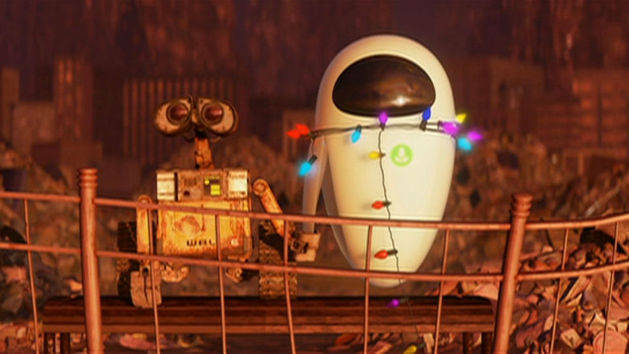 WALL-E (2008) Yeah, Pixar made the best sci-fi film of 2008. Think about that. Warm and witty as all Pixar films, WALL-E also had a big old brain, and presented us with a rather terrifying vision of our future. The first half is a cute tribute to silent comedy, then the film pulls out the smarts and the darkness, along with an affecting robo-romance. The titular scrap-gatherer may well be the most compelling protagonist Pixar have ever produced, and aside from the odd utterance provided by sound effects prodigy Ben Burtt, he does all his acting through twitching his metal grabbers and angling of his periscope eyes. He, his love EVE, and the universe they inhabit are miracles of animation. 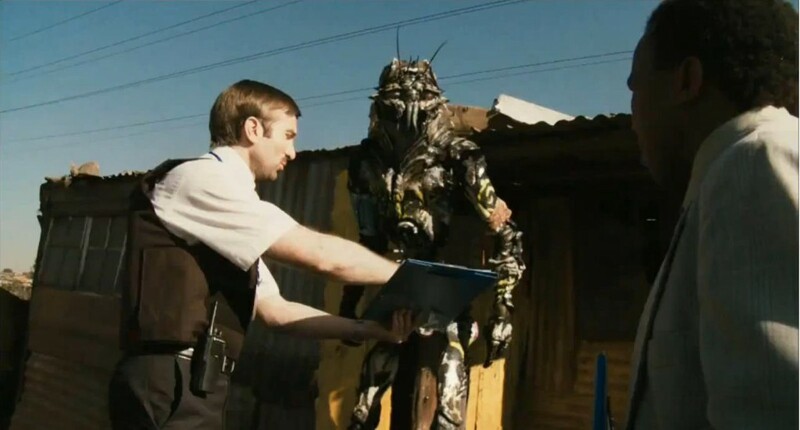 DISTRICT 9 (2009) Based on Neill Blomkamp’s short film ALIVE IN JOBURG, this very South African take on an alien invasion film comes with allegory and symbolism by the bucket-load. The extra-terrestrial visitors in DISTRICT 9 are terrified, diseased refugees who look an awful lot like prawns, and are crammed into concentration camps on arrival, kept out of sight, and out of mind to all but the civil servants and security forced tasked with keeping them under control. Everything changes one fateful day when middle-rung bureaucrat Wikus Van De Merwe (Sharlto Copley) visits the camp in District 9 with a documentary crew, and Blomkamp gets to have his fun showing us exactly what alien tech does to a puny human body. Blomkamp hasn’t come close to this since. 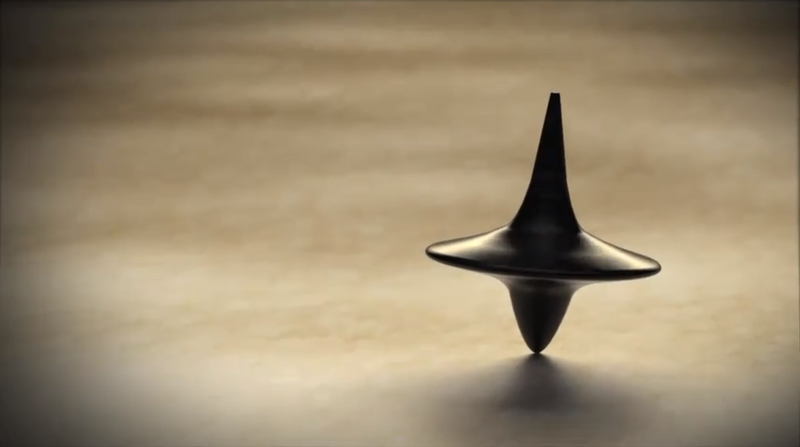 INCEPTION (2010) INCEPTION is probably the most talked-about sci-fi movie on this list. Was it a dream or not? It hardly matters. Christopher Nolan doesn’t like to spoon feed his audience, in fact at times he can make us work a little too hard (see: INTERSTELLAR), but Inception strikes about the right balance. It’s all down to your own interpretation, but you have a rich idea-loaded world, layered characterisation, thrilling action and already iconic visuals to get lost in while you work out how much of this superlative dream heist is real. RISE OF THE PLANET OF THE APES (2011) DAWN is a better movie overall, but RISE OF THE PLANET OF THE APES is a better sci-fi with bigger concepts and a willingness to explore them. Can you honestly say you wouldn’t take risks and play God if you’d discovered a miracle cure to a devastating disease like Alzheimer’s? It’s a lose remake of CONQUEST OF THE PLANET OF THE APES, only much smarter, more fluid and dramatically gratifying. In that film the Apes’ uprising was pretty laughable, saved only by a Shakespearean monologue from Caesar, but here it’s a convincing and violent (if convenient) coup. Above all, Rise was the biggest landmark in performance capture acting since Gollum, and Caesar (Andy Serkis) would smash through that barrier yet again three years later. SAFETY NOT GUARANTEED (2012) The most difficult thing about recommending SAFETY NOT GUARANTEED is that I can’t really talk about why it’s worth seeing, or why it’s a good sci-fi film without spoiling it. Suffice to say it’s a good slow-burning mystery with both a consistent air of eeriness and a warm heart to it. Aubrey Plaza and Mark Duplass have great chemistry, but refreshingly their relationship doesn’t go where you expect it to. Here’s hoping for something as good and not too conventional when we all see what director Colin Trevorrow does with JURASSIC WORLD. 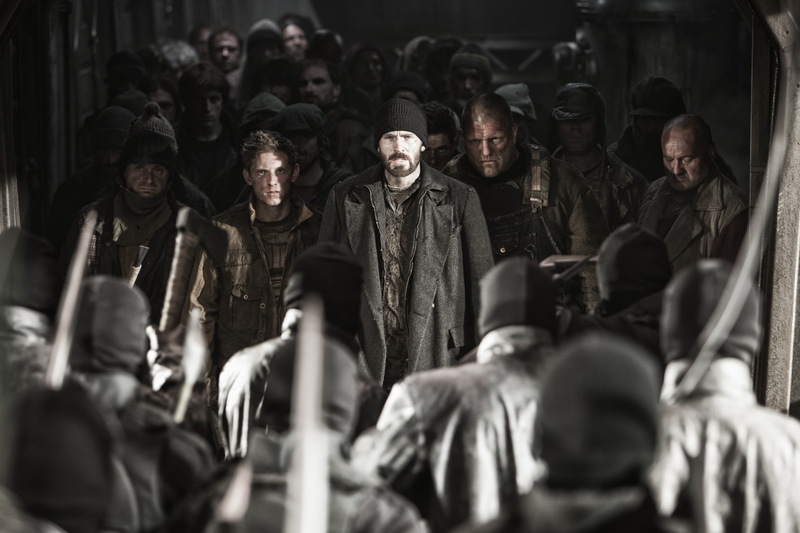 SNOWPIERCER (2013) SNOWPIERCER still hasn’t made it to my native UK, so I’ve had to get a European import, but I’m very pleased I’ve seen Bong Joon-ho’s latest. It works as an action film, a satire, a think-piece, a very black comedy all equally well. Bong makes the most of a good cast of character actors and violent set pieces in the confined spaces of a colossal train hurtling through humanity’s self-created ice age, but also manages to pump it full of environmentalist commentary stopping short of appearing obnoxious. I don’t reckon we’ve seen better sci-fi discussing environmental disaster and fuel crisis since the MAD MAX films thirty years ago. This entry was posted in Film, Film Feature and tagged Alex Garland, Alfonso Cuarón, Alien, Alive in Joberg, Andy Serkis, Aubrey Plaza, Ben Burtt, Bong Joon-ho, Children of Men, Christopher Nolan, Clive Owen, Colin Trevorrow, Conquest of the Planet of the Apes, Danny Boyle, Dawn of the Planet of the Apes, District 9, Film, Firefly, Fox, Inception, Interstellar, Joss Whedon, Jurassic World, Looper, Mad Max, Mark Duplass, Movies, Neill Blomkamp, Pixar, Predestination, Prometheus, Rise of the Planet of the Apes, Safety Not Guaranteed, Sarah Snook, Sci-fi, Serenity, Sharlto Copley, Snowpiercer, Spierig Brothers, Sunshine, Total Recall, WALL-E. Bookmark the permalink. Great post! I always think that I am not a massive Sci-Fi fan but then find myself throughly enjoying films in that genre. Not all of them though, some of them I dislike a lot, I guess they are very love or hate no middle ground. Mentioning Children of Men – I remember being blown away by that with the twists and turns it took! 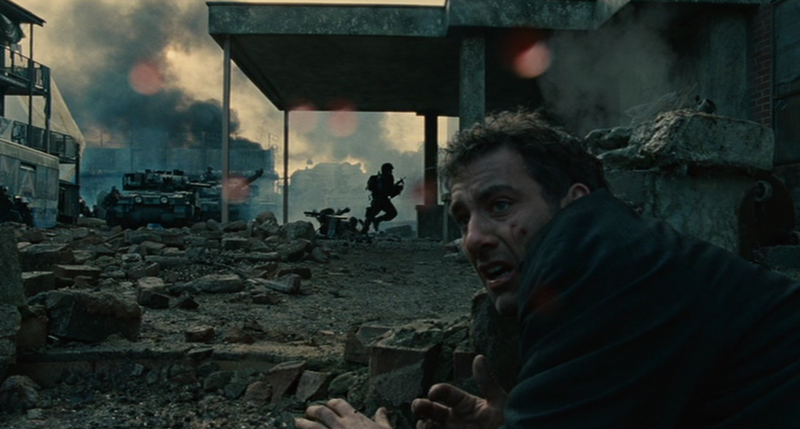 Yeah Children of Men is something special, and nearly 10 years on has aged really well. Thanks for the feedback!